In Episode 70 of the Blogger to Author Podcast, I’m really excited to feature an interview with Lyn Lindbergh of COUCH to ACTIVE. Through this amazing platform, Lyn is helping totally sedentary people build good habits so they can have an active lifestyle. 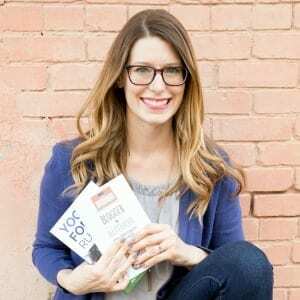 Lyn’s first book, the COUCH to ACTIVE Two Year Plan, was a DIY project (she designed the book in Canva) that has helped her exponentially grow her business. But for her upcoming book, COUCH to ACTIVE, she pulled in some extra help. In our interview we talk about Lyn’s passion for fitness, how her books have helped her grow her business, and what it’s been like to work with a team on her new book after DIY-ing her first. “It all started when I was completely fed up with how exercise was just a chore that I crammed into my packed day. I wanted exercise to come more naturally and HELP ME SMILE. “Fast forward 10 years: I earned multiple fitness certifications, completed a ton of research, and spent years teaching fitness and interviewing people from a variety of backgrounds. I then took my 20 years of experience in corporate managing large scale educational projects and mashed it all up into this project. “I’m not just theory and research. Like you, I also live a crazy-as-bananas life. I have a huge heart for those who also find that they must know how juggle while they are dancing.